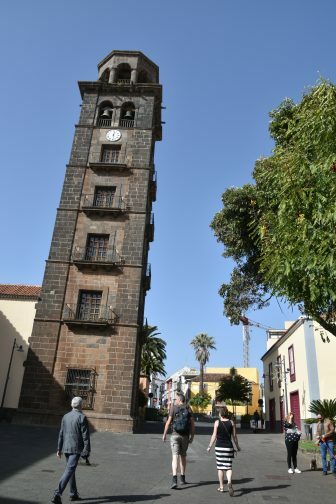 [ Dec.2018 ] The next place we went to in La Laguna, the old capital city in Tenerife in Spain, was Iglesia y ex convento de San Agustin. This was not included in the ticket we bought, which allowed us to visit 6 places, but it was free to enter. 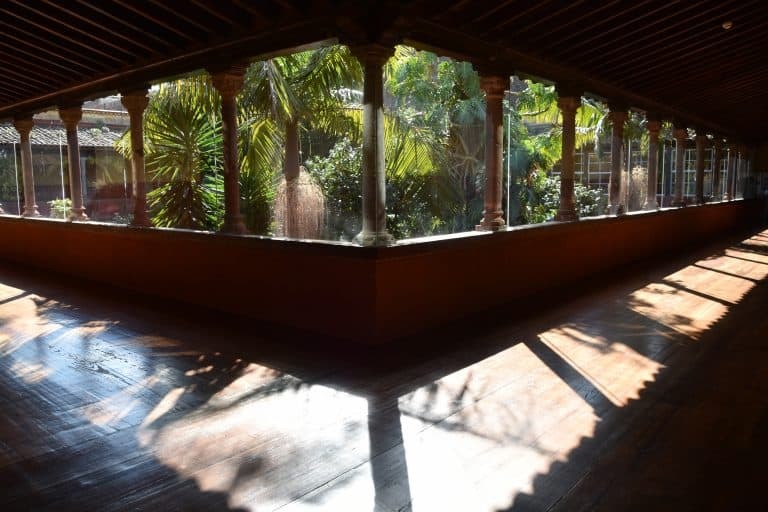 According to the information board outside, this convent was established around 1506 by the monks of the Order of Saint Augustine, who accompanied the conquistadors of the island. 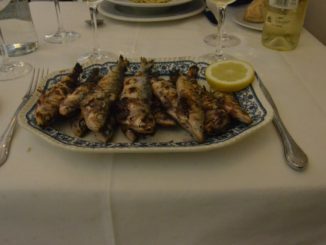 That means that the convents are not necessarily the nunneries. 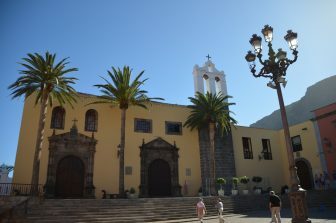 We saw many ‘ex-convento’ in Tenerife and I imagined the towns full of nuns, but probably there were many male and female friars. This information board said that some of t he parts of the building, such as the tower, were added later, but we could see the original form of the building well. The church itself was burned down in 1964 and now only the wall was left. 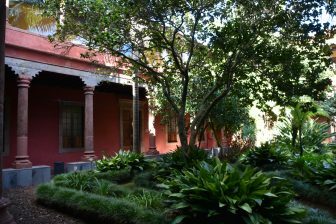 This convent was keen on education and the first secondary school in the Canary Islands was established here. Even now, some parts of the building are used as a school and as a space for cultural exhibitions. 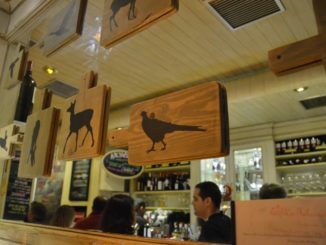 We saw that each room had a exhibition of art, old scientific tools, stuffed animals and so on. 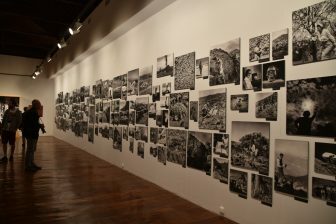 Among them there was an interesting exhibition of photos by Luis Diego Cuscoy, who was born in Girona in mainland Spain. He was an archaeologist and a photographer. 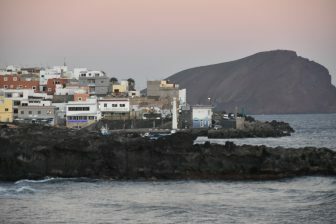 We could see the simple life of the people in La Laguna around the 1950s, before Tenerife became a huge touristy island. 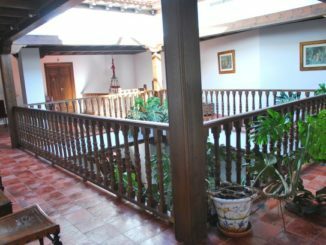 Most of the historic building like this one have a lovely courtyard and the one here was full of plants, giving it a tropical atmosphere. After this place, we visited the church called Iglesia de Nuestra Señora de la Concepción, one of the highlights of this town. 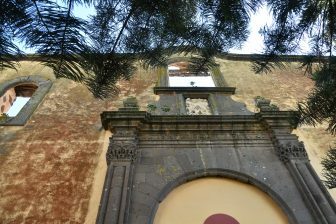 It is the oldest church in Tenerife, whose history goes back to 1511. We went in and found the gorgeous Mudejar ceilings which reminded me of a pattern I had seen long time ago in Isfahan in Iran. The main feature of this church is the noticeable bell tower. The current tower was built in the end of the 17th century. Of course, we went up there. It is as high as a 5 storey building, which means that it was not too high, but the steps of the staircase were big, so it was a quite a job to get up there for me. 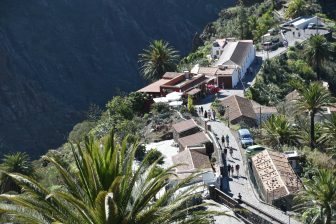 From the top we could see the town of La Laguna well. Although this is a historic town, we saw more ordinary square houses than expected. 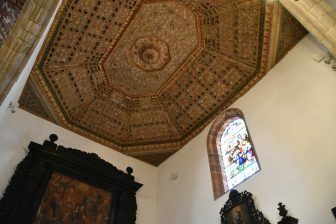 The roof of the church itself was made of lovely tiles. When we were starting climbing up, the staff there warned us “Every 15 minutes the bells ring. Be prepared”. Fortunately, they did not ring while we were up there but soon after we came out of the tower, they started. It would be a shock if you heard the ringing just next to you.